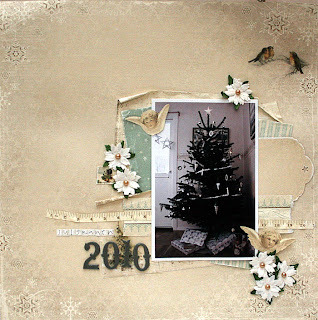 In my studio: The last of Christmas and happy news! I guess you are all pretty tired of Christmas now. I know I am, but I have a couple of more Christmas layouts made for Scraplagret to show you before we can forget about Christmas altogether. 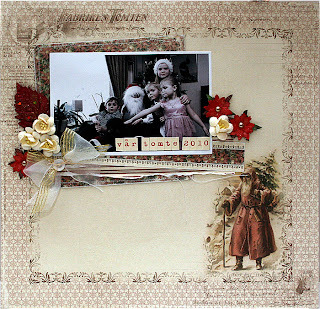 I must say that I simply adore this Christmas collection from Pion Design, and I actually made something out of the scraps of it today, even if it isn't Christmas anymore.